I did not finish this little sweater on the day I intended. I finished it the day after. Thanks for all the cheer leading and encouragement but I am totally at peace with being one day off . It was fun romanticizing my knitting skills even if I was a little delusional. 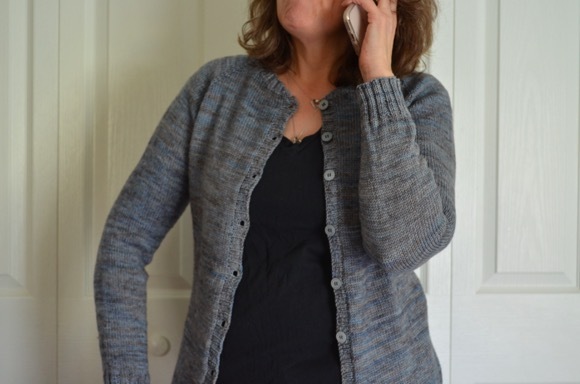 For a change, I knit this cardigan with 100% cotton instead of wool. I have to say that I'm not a fan of cotton because it hurts my fingers. There is just not enough elasticity in the yarn. It is so sweet Karen. I am learning to embrace cotton instead of wool since I will get more use out of it down here where it is already in the 90's! I agree with you about the cotton---just not my favorite to knit with; just not enough give. But your little sweater turned out so so cute!!! And this time of year----cotton will be perfect. It came out so sweet! I love it. I agree with the cotton yarn. Although I do have a cute sweater dress pattern I want to make Ree for the summer. I'm thinking it will look good with cotton. I may have to get over my cotton dislike for it! Yes, I think it depends on the cotton because I've knit with good and bad cottons. This sweater is adorable! It looks so soft, perfect for a baby. Beautiful job! I know they will love it! Cotton is lovely once it's done, but it hurts my hands as well. I know exactly what you mean about knitting with cotton, I really don't like it, but your resulting sweater is beautiful! Such a cute little sweater. What a lucky little boy to receive a wonderful homemade gift! What a wonderful sweater. I do love baby knits. And I've never knit with cotton, I have some in my stash... may have to find a project to use it up. Lovely little cardi to welcome the new little boy- I bet he looks a treasure in it. the card you found to go with it is pretty too! I love it! Great work, friend! i agree with you on the cotton but having knit the baby blanket in blue sky alpaca's cotton...i must say it is the one exception to the rule. oooh! so so sweet. love the little tag too. It turned out perfectly, such a lucky little boy!! And I agree on the cotton. I have no experience with cotton yarns (I believe it can be challenging), but this little sweater looks extremely gorgeous! oh, dear! you're great with and with cotton! beautiful! Such a beautiful little sweater; lucky little guy! 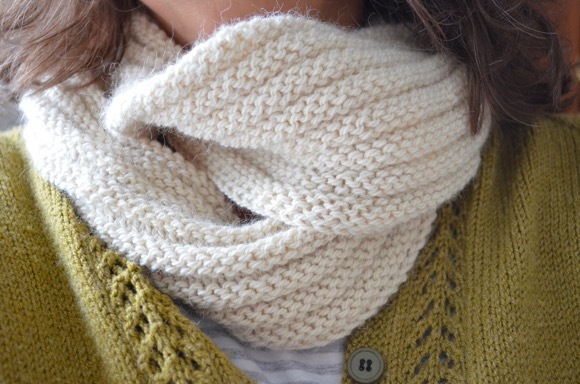 I don't think I've ever knitted with cotton, but I can see there are pros and cons to it. This looks absolutely fabulous in the cotton. Beautiful job. LOVE this. I'm not a knitter (yet!) but soon. Practicing on washcloths but this is inspiring me to get movin'! Beautiful sweater and what a lucky baby!